Work for Greenlight Guru Quality Management Software? The support at greenlight.guru has been incredible. There is live chat available and any question in a matter of minutes! This extends beyond just how does system support. Greenlight.guru is able to answer questions related to ensuring that your system is compliant to the necessary standards required for medical devices. Each document has to be approved individually rather than just approved once with a change order. We are using greenlight.guru as a our Quality Management System specifically geared towards Medical Devices. The biggest benefit is greenlight.guru is the ease of setting up a complete medical device quality management system. "Medical Device QMS system compliant and ready to use out of the box"
Greenlight Guru is fully focused on medical device manufacturers. As a result, it provides ISO 13485 and FDA QSR compliant methods out of the box with no setup. It is also deployed and maintained by GG reducing any associated hassle. In addition, they provide validation protocols and reports which eliminates that obstacle as well. Overall there is almost no overhead in using this system (installation, backup, updates, validation are all covered by GG) while it does remove a lot of the overhead of a paper system. It is straightforward in use and functionality is continuously added to cover more and more of the QMS. The Greenlight Guru team is well experienced in Medical Device Quality Management and very fast in responding to questions. Because it is ready to use out of the box, there is also less configuration possible which means processes typically need to be adapted to the functionality of GG. It is a disadvantage compared to more expensive complex systems that require days of configuration before they can be used. It is however a small price for a maintenance free eQMS. It has made development projects easier to document and manage. This was also visible during audits were auditors had little trouble seeing the process and projects were in compliance. I also see GG as a learning tool for employees because it reduces errors and guides the user. "One stop shop for MD QMS"
I love that everything is 'under one roof', the design, document control, training, change management, NC,s CAPAs, Feedback and Audits. I really love the risk within design, it is set out clearly, easy to use and clear to see the risks at a glance. I also love that Greenlight have a continual improvement approach and new features being added to enhance the usability and performance from time to time. Also, their customer service is top class. I really don't know how I would do my job without it! There are not too many areas, which I dislike, however If I was pushed, I would say the search function. Although this has greatly improved recently. I feel new companies need to seriously consider the file naming structures for ease of retrieval. Since the improvements and updates, we have find it easier to find what we need and we've amended our file naming structure,(removing the _) however, so we still have some historic documents that are difficult to locate at times. Carefully consider the file naming structure, clearly define the roles and responsibilities and complete user specific training, as not all users have the same permissions or issues. Really the only advice I can give, is don't wait any longer, implement Greenlight guru today, to help maintain a first class quality management system, with world class customer support. Communication problems and task management issues are easier to manage with Greenlight. Also the management of NCs, CAPAs, Audits and customer feedback. The templates are so simple, yet very effective at demonstrating the steps taken to investigate the issue, establishing the root cause, and further actions needed. Also allowing the approval to be routed as a formal review. The management of risk throughout the process (design, doc management, GROW etc), is also handled really well, which is a bonus! There is so much flexibility within the entire Greenlight system and depending on the product, we can use the features to suit our process flow and this is invaluable. Thank you for your positive remarks about GG! Our team strives to maintain collaborative relationships with our customers in order to continuously improve our software and help our customers succeed. Again, we appreciate you taking the time to share your experience with Greenlight Guru! The design controls & risk management platform is beautiful. It saves a ton of time updating design controls and risk management inputs & outputs that would normally require multiple document updates with each change. This platform makes it so easy to document and capture the whole design & risk management process so easily. The only thing I would change is to allow documents to be "checked out," modified, and saved without having to save a revised local copy and uploading. Consider the business savings to having all document control, risk management, and design controls at your fingertips and not requiring paper solutions. This platform removes the frustration of giant excel documents that inevitably fail to be properly updated! It usually takes a whole team to maintain design controls & risk management documentation, but this allows a smaller team to easily manage all these inputs from anywhere in easily half the time of a manual system. Thank you for the positive comments and feedback! Our team is glad to hear that our Design Controls and Risk Management platforms are benefiting you and your team. We hope you continue to share your successes with GG along with any additional feedback. "Fantastic product and even better team"
The GG team goes out of their way to help us meet our business objectives. They are knowledgeable in the regulatory and quality management space and are always trying to improve their software and user experience. There is very little to dislike here. There are a few minor features that we wish they would get to implementing, but they are minor and as a small team ourselves, we understand resources must be prioritized. That said, if we really need something, we ask, and the GG team finds a way to help us solve our problem, no matter what. Call and talk with David, Jon and team. They are great to work with. At PhotoniCare, we are developing a handheld tool that can see through the eardrum. As a medical device company, we face regulatory requirements that mean we need a quality system. Greenlight.guru manages that for us and works with us to ensure we are building our QMS the right way. Thank you for your comments and feedback about our software and our team here at GG. We appreciate your positive remarks about our collaborative partnership with customers to enhance our software and keep companies focused on True Quality! "Experienced executive in the medical device startup space"
Ability to capture all critical documents, design reviews and risk analysis electronically. The need to keep up with loose paperwork and signatures is eliminated. Documents are automatically routed through the system. The needed approvals cannot be bypassed. The design requirements and risk analysis are well organized. Navigation can sometimes be a bit cumbersome, but it is a necessary evil for compliance. The software is very intuitive and eliminates the problems with a paper quality system. Everything is organized in a way which insures your quality system will be compliant. Proper and effective maintenance of the quality system. Glad to hear that you are enjoying our eQMS software and appreciate its benefits over a paper-based system. Our workflows are designed to keep teams organized and working efficiently by capturing what is required to be compliant with industry-specific standards. We would love to hear any feedback you may have about the system navigation as we are continuously evolving our software's interface and functionalities. Please do not hesitate to reach out to our team. The DC and Risk matrices make Greenlight Guru a great software for medical device companies. The ability to link the design controls and risk elements together allow companies to develop safe and effective devices. The application also allows our teams to work together from different locations in order to accommodate everyone's schedules! A recommendation would be creating living logs (such as ASL, Customer Feedback, etc.) within Greenlight Guru instead of requiring each to be checked when it is updated. However, if there is a recommended improvement from our company or one of our clients, the Greenlight Guru team is more than willing to discuss the issue/concern with the team and work to improve the experience. The Greenlight Guru software keeps an log of all changes made in the system. This means each time a user views, edits, approves, rejects, etc. an input in the software, the data is captured and can be pulled for reference. This allows for traceability and easy control over QMS materials, and also holds individuals accountable. Thank you for taking the time to share your positive remarks about GG! We encourage customers to share all of their successes and needs with our team, so we can further advance our software to the needs of medical device companies. I have relayed your feedback and recommendations to our Customer Success and Product teams. We greatly appreciate your valuable feedback! OMEZA is an advanced wound care startup. We searched for a digital solution to see if one was available after being told that only paper-based systems would satisfy FDA. We found greenlight.guru and have been delighted with both the product and the service. So far, very little. We made a mistake by assigning a very smart but inexperienced manager to use the greenlight.guru templates to populate the system initially. In retrospect, we would have been better off using someone with experience. That situation has now been resolved. Greenlight.guru gives us a digital QMS so that we can safely launch our first four products. We feel confident our system can withstand any FDA audits. "Great products even better service. Easy to implement." We are a start up organization. 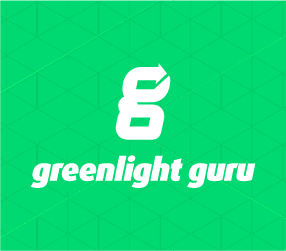 We partnered with Greenlight Guru based on the quality and completeness of their products. We were blown away by the quality of their service, partnership and professionalism. In less than 2 months we were able to implement a very robust quality system. They were with us every step of the way - providing great support, advice and follow through. Greenlight has a fantastic team. Well done! All was great. The only area was cost. But the spend has been worth it so far. If you are a start up organization, you cannot go wrong with Greenlight Guru. It does cost money, but the money is well spent. Quick implementation of a quality management system for a start up organization. We really appreciate you taking the time to share such positive feedback about our QMS software and our team here at Greenlight Guru! We are also glad to hear that the implementation process was quick and seamless for your company. At Greenlight Guru we see ourselves as a trusted partner to our customers, ready to help throughout all steps of the journey. If there is anything else that we can do, please do not hesitate to reach out to our Customer Success team. "Greenlight Guru On-Boarding and Document Management Utilization Experience"
Locating a document within the system is easy and quick; setup of the system is intuitive and has a natural flow. I dislike the inability to conduct a more filtered search. For example, if an auditor wants a list of just our procedures, anything related to a procedure will appear in the list. The Greenlight Guru System is easy to use, intuitive, and helps ensure that your quality management system is in compliance with regulations and standards. What's really beneficial is that Greenlight Guru is geared for the medical device market and has worked to assist companies with management as it pertains to the industry. With Greenlight Guru we are solving the requirement to have a validated electronic document management system. The benefit to Greenlight is that as a company, we don't have to conduct the validation or meet the regulatory requirements for electronic systems ourselves. Thank you for taking the time to share feedback about your experience with GG! We are happy to hear that our validation process is efficient for you and your team. If you have any questions about linking documents and conducting filtered searches for audit preparation, please do not hesitate to reach out to our Customer Success team. "Nice system that's easy to implement." I like how simple it was to implement. The team at Greenlight are also very interested in ways to improve the system and the user's overall experience. There are still some workflows that aren't as intuitive as I would like. There's nothing I've seen that let's you quickly see if there are outstanding open items prior to closing a nonconformance. We are mostly using the Document Control system. It's been a big improvement over our old paper system. We appreciate your kind words regarding our interest to improve our platform by listening to our customers. That being said, we have taken your feedback and will be sharing it with our team to further improve our system. Please reach out to our Customer Success team if you have any additional feedback that would benefit the overall experience of using Greenlight Guru. "Great eQMS system with Great Customer Support team"
Greenlight Guru is always listening to customer's voice and making improvements to the software. The Customer Support team is also very helpful whenever I have questions about how the software works. The design control and risk control matrix is not a very good editing environment. However, it provides a good place to control the matrix once it is completed and does not need majoring editing. Maintaining Quality System with low headcount in the Quality Department. Once setup, it reduces the time it takes to maintain the Quality System or prepare for an audit. "Great Start with Greenlight Guru"
I really like having all the components of the QMS centralized in one tool. In the past I've worked for companies where each part of the QMS was its own system with its own login, rules, nuances, etc. I'm hoping to have line item requirements approval some day in the future as opposed to document level. The cost of implementing a manual system will far exceed the cost of buying a validated system. As a startup, this system removed countless hours of authoring SOPs and implementing work instructions for basic things like document sign offs and storage. "The Greenlight Guru Software is the handrail for Medical Device Development and Documentation"
The link-based connectivity in the software is very much state of the art. This connectivity helps to keep control about the documentation steps. The DHF comes together nearly on its own. The software is continuously improving - into the exact right direction. Once I asked for certain aspects I was told that what I am asking for will be implemented at the next weekend. It is the documentation of medical devices by a remote team what I like most. "GG review: easy and complete"
Product development is performed and documented in a uniform, complete way --> realized. Our team appreciates your positive feedback! Customers such as yourself are the lifeblood of everything we do at GG. Don't hesitate to reach to our customer success team with any specific feedback that you'd like to see us incorporate into the product. "Easy to use, intuitive software"
Email notifications are sent to users who are not involved with a document, during multiple steps in the documents routing process. A simple "training required" type of notification once the document is published would be much more efficient and less burdensome. The ability to assign certain document types as requiring/not requiring change requests would be beneficial to our organization. It is well worth the money. Get it, and start using it for everything involving you QMS activities. Document organization and management. Project management and document management. Thank you for the feedback! We are glad to hear that you and your team have fully engaged in and benefited from the value of our software's functionality. If you have any remaining questions or concerns about our document routing process, please do not hesitate to share those with our Customer Success team. "My QMS is world class"
Real time reviewing and publishing of quality documents. GUI of website makes it very easy to navigate without any hassle. Limited amount of files shown per page. Could increase so I do not have to go to next page. Cannot figure out how to sort document lists by name, description, etc. Quality management. Ease of publishing quality documents. The software is easy to use with little to no customization needed. It has been a great tool for developing our device through design control. The post-market additions have been amazing as well as tasks. After using multiple types of eQMS software over the years this is the best by far! The software can provide too many updates if you do not remember to limit the amount emails you get. Quality system related activities such as revision control, storage, and validation are easily tracked and completed within the software. We also have a team of engineers around the country so using greenlight.guru for design and risk has improved our collaboration and efficiency. Lack of ability of linking multiple documents to an eco. "this qms software is super helpful and easy to use"
Thank you for taking the time to provide us with your feedback. We are glad to hear that GG has enhanced communication and traceability efforts for your team. Here at GG we value the successes of our customers and strive to maintain collaborative relationships that allow us further enhance our software to the growing needs of the medical device industry. If you have any additional comments or concerns regarding our on-boarding process or the UI of our software, please do not hesitate to reach out to our Customer Success team here at GG. "Greenlight Guru works for me"
I like the sharing features that make it easy to collaborate with coworkers. The interface is not as intuitive as I;d like it to be and it takes a while to learn. I wish it was easier to read. It helps me stay on top of projects and manage multiple tasks. Thank you for taking the time to review our software. Glad to hear that it is helping you stay on top of projects and manage tasks when collaborating with coworkers. We would love to collaborate to get a better understanding on how we could make our UI more intuitive. Our team is actively listening to our customer's evolving needs and welcomes all feedback or enhancement ideas as we develop new functionality. Thank you for expressing your concerns with our software's performance. Here at Greenlight Guru, we appreciate when users share their experiences and we take their feedback very seriously. Since your experience, our team has made many enhancements to address any glitches that our customers may have encountered during this time. If you are still experiencing any glitches, please reach out to our Customer Success team and we will work collaboratively resolve any issues. Learning about Greenlight Guru Quality Management Software? * We monitor all Greenlight Guru Quality Management Software reviews to prevent fraudulent reviews and keep review quality high. We do not post reviews by company employees or direct competitors. Validated reviews require the user to submit a screenshot of the product containing their user ID, in order to verify a user is an actual user of the product. Hi there! Are you looking to implement a solution like Greenlight Guru?